SPECIAL DEAL - Usually 39.90 today just 29.90 - Save £10! 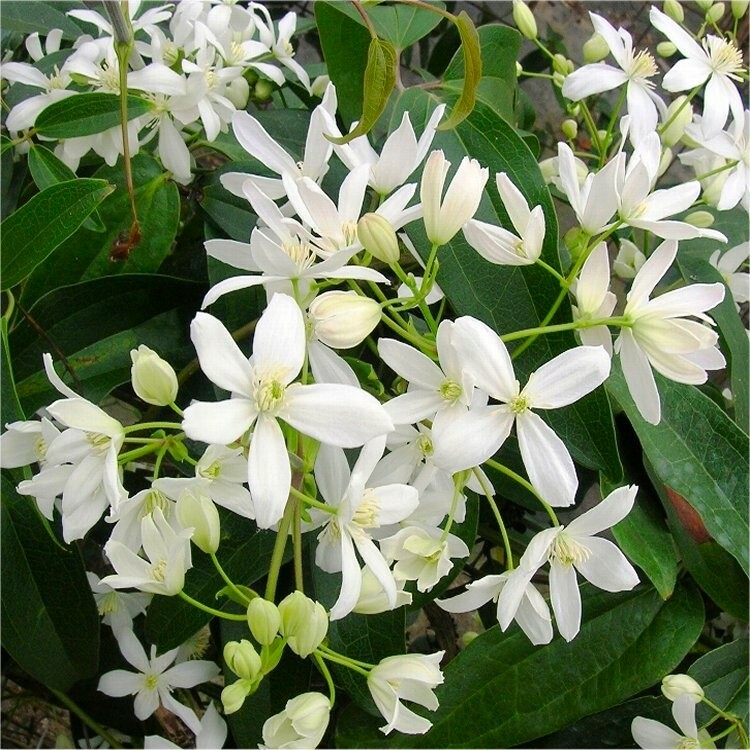 A wonderful evergreen climber, Clematis armandii combines a beautiful scent with very prolific flowering. 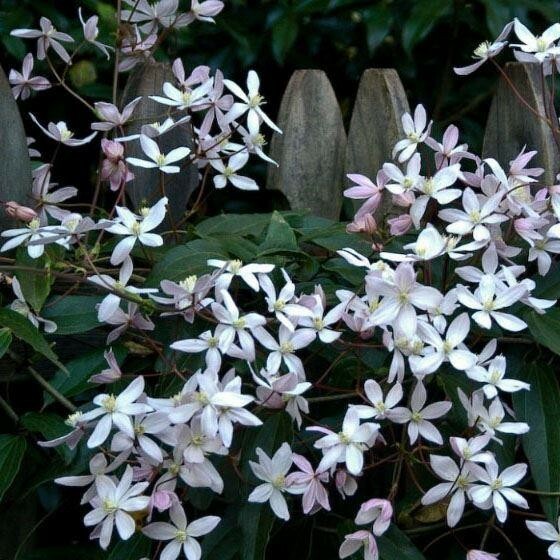 In Spring this plant is covered in highly fragrant, creamy-white star-shaped flowers. Leathery, dark-green leaves are present all-year round providing good cover and screening. Perfect for growing against a wall. It flowers last several weeks and sometimes a second flowering is produced in August. Very highly recommended. This extremely vigorous vine from China adds a touch of elegance to every entrance way. Long dark-green leaves droop to create an architectural statement. 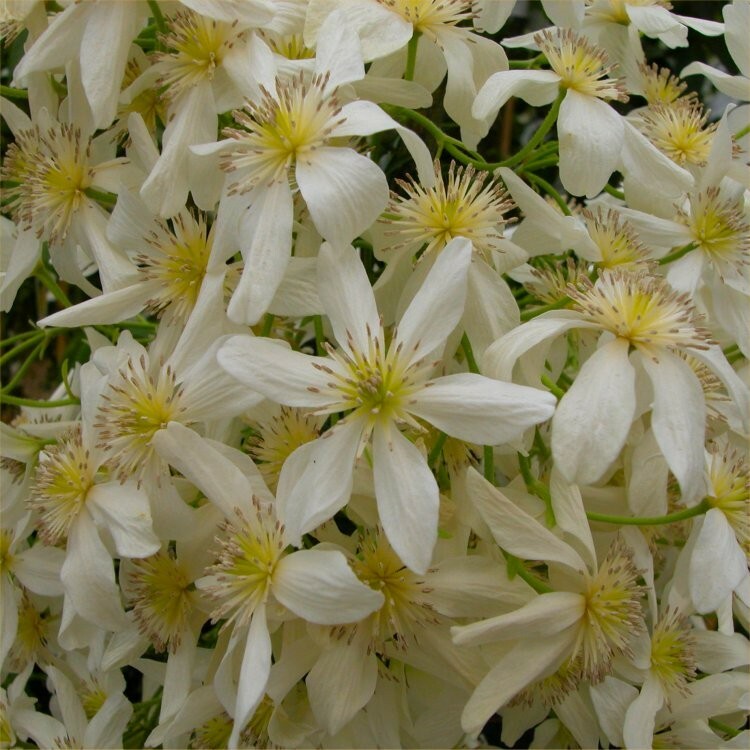 The glossy white flowers are produced in clusters in March and April and Fill the air with a beautiful fragrance. Plant in moist, well-drained soil, preferably in a sunny or partially shaded position. Supplied at around 80cms tall, in 2-3 litre containers, with buds/flowers in season. Much larger and better value than competitors, these are perfect to plant now, and enjoy fragrant flowers every Spring! !